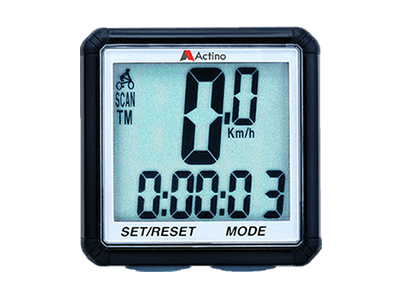 Monitor your bike ride with Action cycling computers. 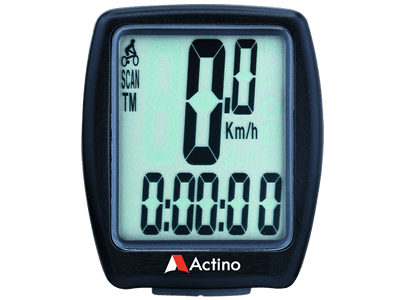 Track your speed and distance as well as your heart rate. 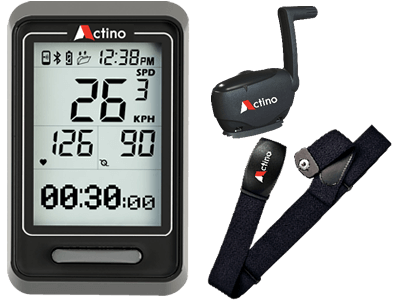 (HR sensor is available for CC500 only) From beginners to experts, Action cycling computers help you improve performance during your ride. [Heart rate] Cur. / Avg. [Speed] Cur. / Avg. / Max. [Time] Total Riding / Cur. [Distance] Odo. / Riding Dist. [Other] Pacer / SCAN / RPM / Cal.